7.30 a.m. - Grounds open for receiving of Agricultural Products and other Exhibits, Classification of Exhibits. 10.00 a.m. - Judging of Agricultural Products and Perishable articles. 12.30 p.m. - #Introductory Broadcast by J. R. Co., and Musical Programme. 1.40 p.m. - Arrival of Jamaica Military Band. 1.45 p.m. - Arrival of Custodes, M.L.Cs. Their Lordships the Bishops, Patrons all, proceed to positions allotted in Grand Stand, except Custos of Kingston who will review Guard of Honour along with His Excellency the Governor. Positions: enclosure south of Guard of Honour. 1.50 p.m. - Arrival of His Excellency the Governor and Party, enter the Course by gate South of Stand. 1.50 p.m. - Firing of Hand Grenade indicating His Excellency's arrival. 1.55 p.m. - Band plays National Anthem; Band plays March; His Excellency conducted to positions by Custos. 2.00 p.m. - His Excellency declares Exhibition open. 2.02 p.m. - His Lordship offers Prayer for success of Exhibition; Hymn "O God Our Help," etc., Band accompaniment; Community singing. 2.10 p.m. - Introduction of Officials of Exhibition to His Excellency, Patrons, etc. 2.20 p.m. - Address to Exhibitors reviewing work, labour, etc. 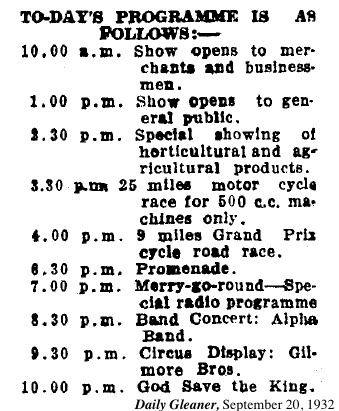 3.30 p.m. - Band Programme, Jamaica Military Band; Radio Broadcast J.R.C. 3.00 p.m. - His Excellency inspects *"Miss Jamaica." 3.15 p.m. - Unveiling of Miniature Jamaica by Lady Jelf. 3.30 p.m. - 20 Miles Motor Cycle Race, (handicap), open to all comers. 4.00 p.m. - Tea to His Excellency, Patrons, Custodes, M.L.Cs. and Officials of Exhibition. 4.30 p.m. - 2 miles Walking Race. 5.30 p.m. - 1 mile Obstacle Race. 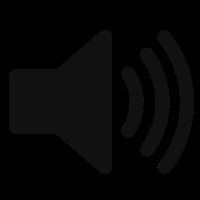 6.00 p.m. - Special Radio Programme by J. Radio Coy. 7.00 p.m. - Turning on Lights by Mrs. Stevens, wife of the Officer Commanding the Troops. 7.30 p.m. - Fireworks Display. Exhibitors are asked to have their exhibits in their enclosures not later than 9 o'clock this morning. # As far as I can make out the 'radio programmes' put on by the Jamaica Radio Company were music etc sent out over the loudspeaker system it had set up at the Exhibition; there was no local radio station at this time over which programmes could be broadcast. I need to do more research on this; I'd be grateful for help from experts! 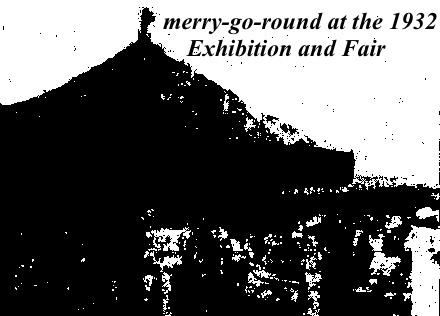 Unfortunately most of the photographs of Exhibition in the Gleaner are very poor; this caption to a picture of the Exhibition before the opening does however provide some interesting information about the loudspeaker system which was apparently very effective, even though we can't see it! It took many weeks to have the enclosure at the Kingston Race Course laid out for the All-Island Trade Exhibition and Fair which opened yesterday afternoon under distinguished patronage. A great many of the business houses in Kingston and other important centres erected substantial stalls in which to exhibit their wares during this week. Our picture shows the section of the grounds occupied by the larger business interests. Note the loud speaker on top of the racing bill board — music, advertising matter and general announcements were sent out by this means and the speeches at the formal opening by His Excellency Sir Arthur Jelf, Acting Governor, were also relayed by means of this speaker to the business section of the exhibition. So, on Monday, September 19, 1932, finally, after many problems and postponements, the All-Jamaica Industrial Trade Exhibition and Fair was triumphantly opened, and became an instant success! IF EVER WAS NEEDED A DEMONSTRATION of how pluck and determination can overcome all obstacles, there is no need to go further than the Kingston Race Course, where yesterday was opened the All Jamaica Industrial Trade Exhibition and Fair. As all such exhibitions and fairs must be, it is a village within itself of 2 by 4 wood, bunting and placards, but as it stands it is a monument to the never-say-die spirit of three men, Mr. T. H. Beecher, Mr. P. C. James, and Mr. W. A. W. Mitchell, who alone, and in the face of such passive assistance as could only be described as the most positive resistance, made the exhibition, and from first day judgment bid fair to make it a successful one in spite of everything and everyone. It took them a year and ten months or so to put the job over, but that they succeeded beyond the realms of expectation by themselves or hope by their many oppositionists is ample repayment for all the toil and worry they must have experienced. "Big Business" men told them the exhibition could never come off; other so-called business men for months straddled the fence so far as exhibiting or actively supporting the exhibition was concerned; others decided that as the men in charge of affairs were not personae grata at Whilhelmstrasse or something it was no place for "God's other Chillun." In spite of all this, however, the All Jamaica Industrial Trade Exhibition and Fair is a fait accompli, and more. Already with only one day passed, the promoters have made nearly fifty per cent. of their expenses and there are still five days more to go! The exhibition was opened officially yesterday afternoon by His Excellency Sir Arthur Jelf, the Acting Governor; and from His Excellency down through all the official speeches there was an unconcealed veil of amazement that the exhibition which was prejudged as bound to be a "zamp" had turned into some-thing at which they were proud to be present, and to which they were proud to ascribe their names. Even at this early date the Gleaner is given to understand that such is the success of the exhibition that the first expressed hope of an Inter-Colonial Exhibition has chrystalized into a definite ambition, and that one of Kingston's most prominent business men, who at first was disinclined to exhibit at the Kingston Race Course, has "put out feelers" concerning the prospects of his being asked to be president of the Inter-Colonial Exhibition if and when it is held. DURING THE FORMAL OPENING: A view of the enclosure at the All-Island Exhibition and Fair on Monday while an address of welcome was being read by Mr. W. Mitchell, Secretary of the Organising Committee. The proceedings were broadcasted to all parts of the exhibition grounds by means of a microphone hanging in the judge's box from which place the utterances were made. From early in the morning, when the first stall-holders began to arrive to arrange things until well past the official opening time, there was a general air of pandemonium, officials, helpers, workers, stall-holders, who's-who in general dashing about the place looking for this, and that, and wondering where this was . . . and somebody wanted to come in the gate and would the manager let him in . . . until by noon, Mr. T. H. Beecher, the manager, founder and organiser of the Exhibition and Fair began to look as if he'd never survive the day. He had shouldered a terrific responsibility and had a list of patrons a mile long but a list of helpers only a yard in length in comparison to the size of everything. There was no one present who envied him his job. However, things began to get under way towards eleven o'clock. Stalls were rimmed and put shipshape; exhibits were put in order, much of the hammering and sawing died down, and the whole thing took on the air of Ye Goode Olde Engllshe Countree Faire. While the official opening of the exhibition did not take place until in the early afternoon yesterday, the show was opened unofficially in the morning by Dr. E. E. Penso, the Deputy Mayor of the Corporate area. The first formal function for the day was performed by Dr. E. E. Penso, Deputy Mayor of the Kingston and St. Andrew Corporation who formally declared the front gates open at 10.30 a.m. He said: Ladies and Gentlemen, the formal opening of this splendid exhibition will take place at 2.30 by His Excellency the Acting Governor, accompanied by Lady Jelf - both of whom we know have always taken a very keen interest in the welfare of the working people of Jamaica. I must refrain from making any speech reflective of congratulation and appreciation of the promoters, which they so richly deserve on their splendid achievement here today; because that will be usurping the functions of His Excellency the Acting Governor. I therefore take very great pleasure and I do so with a heart full of joy as I know your hearts must be full of joy in opening the Stand so that you may look around pending the formal opening by His Excellency a little later on. From this stage people began entering the Exhibition grounds, music started, from at least two points in the grounds and the Little Green Spot, as Messrs Fred L Myers and Son's stall rapidity became known, became the centre of attraction for all manner of people. THOUSANDS OF PERSONS, mostly gaily dressed, saw the electrics flare up above the Exhibition Grounds at the Kingston Race Course on Monday evening. It was a beautiful scene. People moving leisurely, stopping to exchange good cheer with friends, or to examine some exhibit which had so far managed to evade attention. And up in the Governor's Box -- a little Green Alcove restful!y decorated and situated where the north-western breezes could enter -- a little function was in progress. Mrs. Stevens, wife of Brigadier Stevens, Officer Commanding the Troops in Jamaica turned in the switch which gave light to a venture which has so far earned the commendation of every visitor. Mr. Horace V. Myers, M.B.E., received Mrs. Stevens and escorted her to the Governor's Box, where the short ceremony was carried through. Unfortunately I have been unable to find any usable pictures of merry-go-rounds in Jamaica! MERRILY WATCHING THE MERRY-GO-ROUND: A crowd of spectators at the All Island Exhibition and Fair following the proceedings at the Merry-Go-Round, one of the more popular of the side attractions. An automatic organ provides attractive music and some quite exciting events take place in this section when giddy people ride. Motor Cycle Races Were Big Attraction Yest. Rain Hampered Proceeding! Lighting Effects and Fireworks Display Please Great Gathering. The All Jamaica Trade Exhibition, which is proceeding on the Kingston Race Course, was opened under very favourable auspices on Monday afternoon by His Excellency Sir A. S. Jelf, Officer Administering the Government. The lay out of the exhibits reflects credit upon those who organised what we are justified in regarding as a Jamaica Industries Fair. The Courts are replete with articles manufactured in the colony, fruits and agricultural products generally. Monday's attendance by those who comprise the public was large. Interest on the part of many thousands of individuals in the exhibition is the compensating factor. The organiser, Mr. T. H. Beecher, and the directors, of whom Mr. D. E. Williams is chairman, have been unsparing in their efforts over a period of twenty months or more to make the exhibition worthy of the colony. This they have done. A representative crowd at each day's proceedings is essential to complete success. Now that an All-Island Industrial display is an accomplished fact, hope is centered in the possibility of an Inter-Colonial Exhibition. Energy and intelligence have demonstrated that when singleness of purpose is the aim of persons, even those who are on the lower rungs of the ladder, no enterprise is too gigantic for a body of men to organise and develop to the point of success. Many persons of intelligence and business ability felt up to a few months ago that an All-Island Industrial Exhibition and Fair was too ambitious a scheme for a coterie of men who, while, they possessed intelligence, were without financial resources and business acumen, to handle. Some said failure was destined to attend the efforts of Messrs. Beecher, Williams and their co-workers. But the very opposite has been the result. Consequently, it is competent for local interests to consider the possibilities of an Inter Colonial Exhibition being held in this colony. The latter proposal is by no means new. A resolution to this.effect was proposed in the Legislative Council during 1929 by the Hon. D. T. Wint, Member for St. Ann, shortly after his return from the Central West Indies Conference held in Barbados during the winter of that year. A committee of the Council was appointed to investigate and report on the prospect of the sister colonies being invited to collaborate with this island to stage an exhibition that would be a distinct credit to these possessions of the Crown; and at the same time serve to bring every unit thereof into that form of union which would be beneficial to the entire British West Indies, We are not without hope that the long delayed report will be forthcoming from the Legislative committee referred to; and that an Inter-Colonial Exhibition will be arranged for. The large number of British West Indians and visitors from other countries, who would come to Jamaica to attend the Exhibition would, we have no doubt, make it a howling success. WITH APPROXIMATELY £160 TAKEN in gate receipts, representing about 5,500 in attendance, on the opening day, Monday, the All Jamaica Industrial Trade Exhibition and Fair entered the second day of its existence yesterday under circumstances regarded as more auspicious than ever imagined by the promoters who estimate that with four days such at the first and their balance sheet will be void of any red ink, the directors' loans will have been repaid and everything will be rosy. Estimates for yesterday's attendance are in excess of the first day's, although the promoters had made no definite check up to the time of going to press. However, it is generally believed that an increase of £100 or so over the first day's receipts would not be an over estimate. A pen picture of the exhibition, now that everything is ship-shape, would show an area of about 90,000 square feet, roughly square in shape, bordered on one side by the Marlie Racing Club grandstand, paddock and stables, and on the other three sides by one of the world's grandest scenic panorama—the blue Caribbean to the south and the beauteous ranges of mountains to the east and north. Confined within the corrugated iron boundary fences of the exhibition ground one sees a village of wooden stalls, befogged and decorated, bunting strung from corners to centre of the grounds and a myriad of red, blue and yellow lights which when lighted at night add an air of fairyland to the grounds. as the sightseers cluster to watch the sporting events—a section of the programme that is finding much favour. Exhibitors in general are understood to be doing a fair amount of business, though not as much they anticipate during the later part of the week. As on the opening day, rain yesterday did its best to spoil things, a heavy downpour at five o'clock driving everybody to shelter, and fortunately for all, stall holders without exception allowed their stalls to be used by the visitors. Throughout the downpour, which lasted nearly half an hour, there were four men present to whom the rain came as a refresher from the skies—they were the competitors in the three miles walking event. To them the race course was just one long step after another, a long way from home, and leading to nowhere in particular. However, they enjoyed it, as did the crowd. 'Long' Murray, whose stride is about as long as from here to there, won the event, with Samuel Moore coming in second, about 300 yards behind. Henry Wood was third. Winner's time, 31 minutes. 25 MILE MOTOR CYCLE RACE. The really exciting event of the afternoon was the 25 miles motor cycle race, handicap, in which there were four starters, but only one, Oscar McFarlane, completed the course. Oscar was handicapped one mile and a half and did not catch up and pass his nearest rival until in the last two miles. Mile after mile round the course the motor cycles chugged and putted. First off were T. Scott, and E. Joseph, followed by E.T. Jackson and Oscar McFarlane, in order. After completing one mile, E. Joseph withdrew owing to a broken part in his cycle. At the end of the second mile, Jackson was forced out by tyre trouble, leaving the field to Scott and McFarlane. Scott maintained a lead at nearly a mile for fully 22 of the 25 miles scheduled, and seemed a certain winner as despite all McFarlane's efforts he could not reduce the lead. Then Scott was unfortunate enough to suffer a puncture, which compelled him to retire. The time was 50 minutes and 12 seconds. Owing to the rain, which made this course too dangerous, the nine miles cycle race was abandoned for the day, but will be run to-morrow if conditions allow. The promoters announce that post entries for this event will be received. As darkness drew on so lights flashed on here and there, imperceptibly at first, and without it being realized the whole scene was changed from the brilliance of the sunshine during the day and the grey sunbeams of the evening rainstorm, to the soft and mellow radiance of hundreds of electric lights. The rain, of course, caused many who otherwise would have come to remain home. Thus they missed the display of fireworks at seven-thirty—St. Catherine wheels, rockets, roman candles, "whistlers" and squibs. They also missed a fine band concert by the Alpha Band at 8.30. The band also had furnished a musical programme during the afternoon. Then at 9.10 there was a circus display, on a platform specially erected in front of the grandstand, by the Gilmore Bros., who gave an interesting and well-received series of balancing feats, feats of strength and juggling. At ten o'clock came "God Save the King," and another day of the All Jamaica Industrial Trade Exhibition and Fair had come to an end. Greatly encouraged by the first day's appreciation of their exhibits the exhibitors went all out to better themselves yesterday, hence, at 10.30 a.m. when the gates were open to the public there were on hand quite a number of persons to have a careful round of the many courts. During the afternoon the Judges, Major W. H. Plant, J.P., Mr. Harold Allan, J.P., and Mr. R.D. Smedmore, went about their work in the handicrafts division and were very pleased with what they saw, special mention being made of several items. Chief among the attractions at this time of the day were the fine displays of the Alpha Industrial School, the Stony Hill Industrial School, the St. Catherine District Prison, and the general Penitentiary. Alpha shows prominently a fine model two-storey house of some ten apartments with doors and glass windows open, inner stairway, and even flower pots with palms at the entrance to the hall—wicker furniture on upper verandah, etc. This surely is a hit among the kiddies, and a source of much admiration for adults. Other fine works in mahogany, as well as dress apparel are to be seen. The General Penitentiary exhibits mahogany Morris chairs, mahogany folding chair, mats, shoes, tea trays, etc., etc., bricks, limes, tiles. The Stony Hill Industrial School has a fine display of mahogany buffets, mahogany chiffonette, mahoe walking sticks, blacksmith's tongs, an iron gate, concrete reinforced fence post, chochos, limes, pimento, tomatoes, bananas, honey, honey-comb, cassavas, nutmegs, kola nuts, tobacco, avocado pears, while the St. Catherine District Prison has some fine 14 hand bunches of bananas, a fine display of pumpkins, potatoes, peppers, peas, etc., etc. and items in regular trade the gathering was kept interested, among those looking in shortly after noon being Messrs Audley Morals, V. C. Alexander, H. Massie-Blomfleld, W. C. Syer, the Hon. 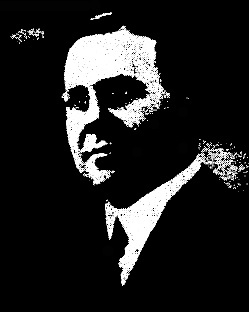 W. H. W. Westmorland, Messrs W. Hyde Macaulay, the Rev. T. Cowell Lloyd and Mrs. Lloyd, Mr. J. L. Pietersz, Councillor Marcus Garvey, Mr, and Mrs. Paul Squire. So as to keep music to the fore with the Interesting exhibits, Mr. Massie-Blomfield, H. M. Government Trade Commissioner, arranged a rehearsal of a fine programme of music over the loud-speakers--which was repeated last night. This included the famous Aldershot Tattoo, the world-famed unaccompanied Don Cossack Choir, staging "On the road to St. Petersburg," and other popular airs, such as Ole Man River. During luncheon at the various stalls the juvenile 'post men' were busily engaged delivering letters, despatched from the post office on the grounds—delivery fee being paid by the recipient, only, it appeared, if he happened to be not a she. Mr. P. C. James, one of the directors, broadcasted at 1.30 o'clock a reminder to the gathering to support native industry by patronizing the efforts of exhibitors, which alone could spell success for the venture. By 3 o'clock the attendance was four times what it was at the noon hour, and at 4 o'clock the number had gone into the thousands—the main attractions at this time being the motor cycle racing and other form of sports. The Alpha Cottage Band under Bandmaster Tulloch arrived at about 3.30 o'clock and took up position in the grand stand from where they rendered an enjoyable programme. The strains of music had their effect, and one and all fell into the carnival spirit—the possibility of such form of entertainment being an annual one coming prominently in thought. A party of school children from the Love Lane School under the headmaster and assistant arrived shortly after four o'clock to swell the number of juveniles who were making merry and enjoying the fine array of good things produced in Jamaica. roulette wheels, the post office, all blended into one great programme lasting until well after 11 o'clock. Mr. Massie-Blomfield gave another fine musical programme over the loud-speaker. An idea of the attendance could have been gained by the hundreds who gathered around.the boxing ring to witness the several bouts, billed at 4 rounds, in one of two of which a victory was scored in the second round. The gathering showed considerable interest in this game, and those who were for the very first time having a true idea of what boxing is, declared themselves as determined to attend future programmes in the city. The gathering around 9.30 o'clock last night was a large and truly representative one, and as equally large as that around the boxing ring was the crowd to witness the acrobatic display by the Gilmore Bros, on the open air trapeze in front of the grand stand. A Reporter happened across Mr. Horace Myers on the Exhibition grounds Tuesday night — it is difficult to miss Mr. Myers up there since the exposition opened — and during the course of a short talk, that gentleman made a suggestion which, if adopted, would assist workers, particularly in the country districts, to visit Kingston and see what the island is able to produce. Mr. Myers is, of course, President of the Jamaica Chamber of Commerce and Merchants Exchange and to him the stimulating of trade is now second nature almost. So he thinks that employers in Kingston as well as in the country districts, might allow their clerks and other employees time off before the end of the week, to enable them to come up to Kingston and visit the Exhibition grounds. "I think it would be money well invested too," Mr. Myers said, "if those who are in a position to do so would assist their minor employees with a small sum to help them meet the train fare and other incidental charges. It would broaden their view and build up their enthusiasm; and I know from experience that there is nothing like having enthusiastic employees." Mr. Myers went on to express the hope that people from the country would find it possible to attend the Exhibition and would perhaps also remain the night over in Kingston so as to witness theFireworks and participate in the various interesting sideshows. Records For Attendance Continue To Be Broken. Events Yest. Afternoon And Last Night. RECORDS for attendance continue to be broken at the All Jamaica Industrial Trade Exhibition and Fair at the Kingston Race Course, and to such an extent that the promoters are seriously considering the possibility of remaining open for another week after Saturday next. Meanwhile, the exhibition is proving itself to be more and more popular, particularly since the promoters are making it known that contrary to the originally printed programme there has been a change in times, in that the show will be open every day without exception from ten o'clock in the morning until midnight. The promoters also wish it to be known that the reports being circulated to the effect that the admission fee to the show Is NOT all one has to pay are entirely false. The reports, it is stated, inferred that after paying one's admission, one would be called on to pay to see the various booths and so forth. This is not the case. The admission fee covers everything in that respect with the exception of one or two private displays, which in a technical way do not come under the heading of industrial trade display. Rain yesterday for most of the morning and early afternoon tried its hardest to spoil the workers' half-holiday possibility of seeing the exhibition, but shortly before two o'clock the skies cleared, and it was not long before the crowds began to come in, and by mid-afternoon fully 8,000 people were in the grounds and still coming in large numbers. As usual, the promoters and officials were having their hands full dashing all over the place keeping things running, and one of the busiest among them was Mr. V. Dewar Gray, who is operating the broadcasting apparatus of the Jamaica Radio Company which supplies the music for the occasion when the Jamaica Military Band, under Lt. Frank Bradley, is not present, and is the medium through which the exhibitors vocally advertise their products, and also give the real modern progressive touch to the exhibition. On all sides the opinion is being expressed that the exhibition is one of the brightest yet held, with something doing throughout the day and evening. The rain yesterday, of course, caused postponements of events scheduled for the morning half of the programme, but these were put on during the afternoon, and as the rain also had kept nearly everybody away in the morning, nothing was lost to them when they came in the afternoon. Some of the peculiarities about the exhibition and people who attend them are coming to light, and prominent among them is that many people who came the first day merely to look around, are now coming back and are spending money. It was noticeable during the day yesterday, that the majority of those going home early were all carrying parcels or packages, or bags filled with merchandise purchased at the exhibition. A big trade it being done in meals and refreshments it is reported from several stalls; with native industries—raffia and wicker bags, hats, etc.—also registering no complaint. 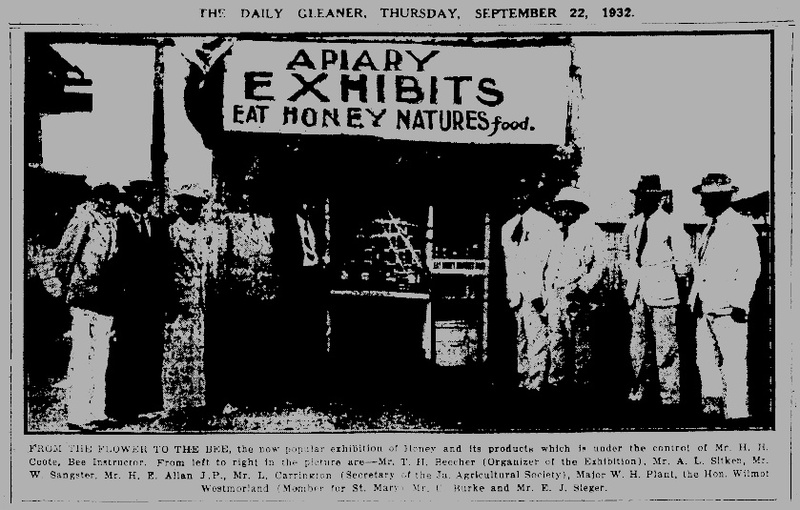 A booth that is drawing the crowds is that conducted by the Penitentiary and the Stony Hill Industrlal School, Here agricultural and industrial displays are causing many expressions of surprise and amazement, and had it been a commerciai display, Mr. Wickers, who has charge of the display, would be inundated with orders for all sorts of things. However, it is apparently a case of there not being a sufficient number of craftsmen prisoners in and around the prisons! WITH THE ATTENDANCE YESTERDAY—last night in particular, when positively droves of people arrived afoot and in cars—by far surpassing that of any of the previous days, the All Jamaica Industrial Trade Exhibition and Fair passed from the red ink side of the ledger into the bluer—financial success! This is the intimation received from Exhibition headquarters last night, and if the smiles on the faces of the promoters mean anything, then it was worth the price of admission and more to see Messrs Beecher, James and Mitchell, walking round the Exhibition grounds grinning from ear to ear, and metaphorically speaking patting themselves on the back. Seriously the crowd last night was reminiscent of an Olympia circus or Boxing crowd in London, and in truth it can be said that "The World and his Wife and whole family" were at Jamaica's first actual All-Island Trade Exhibition and Fair, an eminently praiseworthy and successful affair from all points of view. The Exhibition yesterday was noteworthy from two points of view—the interest taken in it by the hundreds of children who were present and the manner in which school teachers urged their pupils to go along as school units; and also from the fact that a large number of people were those from St. Andrew, Constant Spring and other residential districts. The Alpha Band under Band-master S. V. Tulloch arrived on the grounds at 3.30 o'clock and for some 8 hours after gave a fine programme from the grand stand. These boys have certainly showed a great deal of improvement, and their renditions were time and again received with applause. They also accompanied the fancy dress parade in front of the grand stand as the shades of night were falling. This parade was interesting indeed, and was won by the representation of Jamaica coat of arms, with the Indian girl from Montego Bay second, and Pumpkin third. Shortly before this came the 10 miles motor cycle race, won by Oscar McFarlane; followed by a one mile running race, won by A. Thompson and with S. Bowen second, the same men as they finished in the Myers' road race. A 5 mile cycle race followed, this, Mr. L. A. Thoywell-Henry being the promoter of these events. At night the monster crowd of people present were entertained with boxing, in the specially erected ring; another daring and thrilling circus display of acrobatics, balancing and feats of strength by the Gilmore Bros.; a fireworks display—easily the best of such displays since the exhibition opened, and Gerardo Leon's programs in the Follies enclosure. of the promoters in thinking of a part of the programme such as the foregoing to help the visitors to while away many a happy minute. - if you would like to take a walk around all the areas of the Exhibition just click HERE - but it's a pretty long walk! Grounds Literally Crammed Yesterday with School Children and Adults. How shall we extol thee, who are born of thee. From the throats of thousands of school children and hundreds of adults rose the thrilling words of this majestic tune to the accompaniment of the Jamaica Military Band yesterday afternoon at the Jamaica Trade Exhibition and Fair being held on the Kingston Race Course, the play ground of the Metropolis. From all sides of the big savannah came the children of the many schools of the Corporate Area, and quite a few from adjoining parishes. It was a great scene—one which will long be remembered by those who were privileged to witness it. From the upper deck of the Judge's stand (for racing occasions) the Hon. Altamont E. DaCosta, O.B.E., M.L.C., Mr. B. H. Easter, B.A., M.B.E., Director of Education; Mr. Hugh Massie Blomfield, H. M. Government Trade Commissioner, Mr. Ken Phillips, Asst. Inspector of Schools, Messrs H. E. Allan, J.P., T. H. Beecher, (organiser), D. E. Williams, P. C. James, A. Johnson, and W. A. W. Mitchell, Secretary, Directors of the mammoth fair looked down on a sea of juvenile faces. Among the teachers who conducted the children were a number of Roman Catholic Sisters. Yesterday broke sunny and bright, and the weather vane told good tidings for the fifth day of this big undertaking, one which has drawn from the highest to the humblest of the land to witness what the people of Jamaica can produce and to show their deep appreciation of them. As a chain's strength rests in its weakest link, so the success of this Exhibition might well be judged by the humblest of stalls far off the beaten track of the thousands of spectators who are day after day filing in to the fenced city to see and to hear and to inwardly digest. The forenoon passed off finding the Judges of several exhibits hard at work. Afternoon rolled on, and from 1 o'clock the children began to gather on the grounds in preparation for their big Children's Day function fixed for 2.30 o'clock at which they would be addressed by the Custos of Kingston and the Director of Education. Half an hour before the time fixed the grand stand enclosure was crowded and during the proceedings hundreds of children who failed to get a foot hold within this area had to file on to the savannah. It was uncomfortably crowded — wider yet and wider, shall thy bounds be set, and as the function for the little ones continued one felt the forcefulness of the words — God who made thee mighty, make thee mightier yet. It is a triumph for the determination of Mr. Beecher, the organiser of the function, and his associates, and rousing cheers were given for him by these four thousands and more children gathered together yesterday afternoon to be entertained. When this part of the proceedings was through at about 3.30 o'clock and the little ones were sent about to see the exhibits, there were, and for the next three hours, upwards of eight thousand children and hundreds of adults. The record was then put on, but there was a big treat to come. Three cheers were called for His Majesty, and the children listening to the record joined in giving three lusty cheers. It was a wonderful 10 seconds. The children were then free to witness the many exhibits and of course the merry-go-round and the track events were popular with them. *An intensive form of applause ; an addition thought to embellish the traditional 'three cheers': whence three cheers and a tiger = three cheers wound up by a growl, screech, or howl. The Jamaica Military Band under Lieut. Bradley gave a select programme of music from 2.30 to 4.30 o'clock and from 6 to 8 last night, this rich treat with the many side shows having thousands of promenaders on the go until well after 11 o'clock last night. The Jamaica Trade Exhibition and Fair is growing bigger, brighter, better each day, and it would appear as if it is just opening. "It took Thoywell-Henry to provide proper excitement," one enthusiast remarked after the close of the ten mile motor cycle race. While the wheelmen were getting ready for a three mile bicycle race, Messrs Bubb-Clark and Ennevor gave an exhibition of stunt riding. They rode with one foot skimming the ground, with both feet on the pillion, with their legs crossed and in a number of dangerous attitudes, obviously requiring great skill. track. E. Beckford won, with T. Christie second and R. Robb third. and Mr. Mitchell being of course also in attendance. Lady Jelf particularly was most intrigued by the excellence of the display. She purchased a bedside table of very fine workmanship from the handicrafts booth of Mr. McKenzie, while His Excellency bought jippa-jappa hats—to counteract the warm days in the Legislative Council? on the success of the venture and spoke encouragingly to them. It was long after six o'clock that Hit Excellency and Lady Jelf left the grounds, the Band playing the National Anthem. Then a populace hungry for night life and now assured of an interesting and enjoyable time, began to flow into the exhibition grounds, taking the place of the school children for most of whom the time for home-going had come. The light flared up, multi-coloured lights. on the fifth after-dark period of the Exhibition and it was again time for the side shows—the Palace of Mystery where Professor Turini Leon played to an astounded assembly of spectators; the Edelweiss Follies with their gyroscopic ladies and tango-dancing couples, the dancing to a bright orchestra. And above everything the intermittent programmes of advertising which embodied special music played on a phonograph through loud speakers. The skies were all aglow at periods with the display of Fireworks, as stars in all hues fell from rockets, and floated through the air in groups. There were rockets that popped out whistling miles in the upper air, and others that sent out starry showers of varicolored fire. Things of course were continually moving and late last night an important exhibit arrived from the country. It is a delicious native made bacon—if one may judge by the smell of it—sent up by Mr. A. H. Pottinger of Oracabessa, and will be on exhibition during the remaining days of the mammoth fair. The loud-speaking devices installed by Mr, V. Dewar Gray, radiotrician of the Jamaica Radio Company, continues to give excellent service and assisted the Military Band in the provision of music. The Band, by the way, during the evening played various selections by request, and anybody, could get his or her favourite number presented as the composer intended it. After taking away a Singer sewing machine and two sheets from the house of Mr. Herbert Barry at No. 16G Portland Road on Friday night, thieves set fire to two mattresses in the bedrooms. Fortunately Mr. Barry and members of his family had just come hack from the exhibition at the Kingston Race Course and discovered the fire which was quickly extinguished. Mr. Barry, his wife and two children left their home on Friday evening for the exhibition. The house was locked up. During the evening the thieves used a false key to gain admission. After taking away the machine and the sheets the thieves and firebugs set firs to mattresses in two of the bedrooms. Mr. Barry returned at about 11 o'clock just in time to see the fire spreading. The incident has been reported to the police. "The management of the exhibition desire to announce that by reason of the success of their endeavors, and at the request of many of their patrons, they have decided to continue the exhibition until Thursday of next week. "While they are proud and pleased at the support they have received they hope that you will give even greater support to-morrow and next week. "Moreover, in order that you may not be wearied by repetition they are preparing many new features and new attractions for next week. "On Sunday the gates will be opened at 3 p.m. The Jamaica Military Band will be in attendance and there will be an address by a well-known minister. There will be a concert from 8 to 10 p.m. Admission 6d. and 3d. "And lastly it is the hope of the management that Sir Edward Stubbs, who will arrive on Wednesday, will attend and close the exhibition on Thursday next." Boxing, Fire Works, Gymnastics, All Add To The Thrill Of The Occasion. A WEEK of combined business and pleasure; a week that has opened the eyes of many people to many things—all pleasant to contemplate—a week that has placed a fun hungry community in the debt of a band of indefatigable and able workers, ended when the All-Jamaica Trade Exhibition and Fair closed its doors at mid-night Saturday. And now it has entered a five-day period for the purpose of enabling His Excellency Sir Edward Stubbs—who will undoubtedly be interested and pleased to note the excellence of this entirely local effort—to carry through the last formality. The crowds which began at "high tide" and swelled each day since Monday last, reached its peak on Saturday, and with the increasing attendance has come additional commendation for the enterprise of the promoters, who have stood their success very well. Still the same courteous and humble-mannered band of gentlemen move about the ground, seeing to the smooth running of things and feeling the public "pulse" as to the future. There have been, during the week, occasions when the Committee men, one or other of them, have had to present a stern front to ensure that the good discipline which they have set themselves to maintain is not disrupted. That the Exhibition is a financial success became evident many days ago, but never before has there been more unanimous pleasure felt concerning the success of an undertaking. With unusual candour most people are willing to adimt that they have been tremendously surprised, and the general opinion is that the task of the organisers, headed by Messrs Beecher, Williams and Mitchell, but equals the success. Unlike so many other shows arranged for the education and entertainment of the public, the All Jamaica Trade Exhibition and Fair has provided variety, that quantity which is truthfully said to be "the spice of life." There has been something new for every minute during the past week, and the management is providing something new for every minute of this week. The attendance on Saturday forenoon was somewhat low, as would be expected for such a busy day for people looking after their domestic duties, but by 4 o'clock when the big 40 miles Motor Cycle for the Ariel Cup it is hoped Sir Edward Stubbs will present on Thursday 29th inst was started there were some four thousands in attendance, the route of the mile course having large gatherings here and there for the purpose of witnessing how the speed-kings would negotiate the tricky parts and sandy spots. The Alpha Band arrived on the grounds at about 3 o'clock. and from then on to 10 o'clock last night rendered a very fine programme, time and again getting rounds of applause, with special requests of Mr. Tulloch for certain items. Pirates, and other parties making up a fine show. They marched around the Exhibition grounds, then repaired to the grand stand enclosure and promenaded to the accompaniment of sweet strains by the Band. The judges were Dr. D. I. Eames, Mr. S. M. Kitchin and Mrs. Kitchin, Miss Marjorie Duff, and Miss I, Pouyatt. Between the conclusion of the track events and the costume parade hundreds of promenaders found much interest in looking on at the blind students from the Salvation Army's School at work on their knitting and other tasks. This booth, as stated before, is in the grand stand enclosure, against the eastern fence, and the happy manner in which these unfortunate young people go about their duties might well be a lesson to many of a grumpy turn. Another batch of children who provide much interest for spectators are those at work in the Alpha Industrial booth. Here boys and girls at different times of the day can be seen actually doing some of the fine painting work seen in the court. Water-colour and other painting of countrysides is done before the eyes of spectators, many of whom from time to time express doubt as to whether the children actually do these things. Wool work and knitting is also done here by a little girl, and anyone going to the exhibition grounds should take the opportunity of seeing these. The boots and shoes made by the boys from this institution also came in for much inspection. Mr. J. Brown is in charge of this end, with Mr. Joseph Mattis, teacher of cabinet work, Mr. Lammie, assistant, Mr. A. Hall, teacher in tailoring (some neat exhibits of men's clothing made by the boys are there), while the Sisters of Mercy teach the children to paint and do book-binding, as well as cane-seating. The Stony Hill Industrial School boys have also a splendid exhibit, but no representative of theirs is actually at work on the grounds. The Nestle's Milk Stall, with the moving-man and moving cow is of much interest to the kiddies, while the samples in this court are studied with care. Several of the other exhibits on the grounds are being dealt with by actual photographs of prize winners. Mr. A. N. Masri's court with Egyptian works of art has always a good gathering. Here it might be stated that his splendid painting of His Majesty the King has taken 1st prize in that division. Mr. Masri it will be remembered has had the honour of doing a large sized painting of Sir William Morrison. Among those seen during the afternoon and evening were the Hon. S. R. Cargill, Custos of St. Andrew; Mr. Hugh Massie-Blomfleld and Mrs. Blomfleld, Capt. and Mrs. Partridge, Mrs. Gloria Calder, Mr. Bobbie Alexander, Mr. P. C. Duff and party, Mr. and Mrs. Chas. B. Mordecai, Mr. and Mrs. Granville DaCosta, Mr. and Mrs. J. J. G. Mair, Mr. R. H. Fletcher, Mr. J. P. McPhail, Mr. F. L. DePass, Mr. and Mrs. E. A. Rae, Messrs Hugh Levy, O. F. A. Martin, Dr. and Mrs. U. N. Murray, Dr. and Mrs. H. H. James, Dr. F. F. Brown, Messrs C. A. Warner, D. C. Vaz, Paul Andrews, Dr. Ken McCarthy, Mr. G. S. Shaw and party, Mr. and Mrs. E. A. Poulle, Messrs R. C. Humphreys, H. S. Wiles, and Douglas H. S. Campbell, A. W. Burke, Councillors T. A. Duval and Marcus Garvey, Messrs G. Evans, Horace V. Myers, Eustace Myers, Harold Cocking, J. F. Parkinson, H. A. Stephenson and L. Palmer. imbibing individuals, couples and parties, strolled the grounds, a good many for the dozenth time, but showing the same interest, fueling the same thrill as was experienced on the first visit—such is the magic of contact with one's fellow men. And the sideshows were well patronized. It is surprising how easily people take things for granted. "Have you seen the human bead on the vase?" everybody asks everybody else, as often as not the answer is "No." But yet this display is well worth seeing, particularly as it is of purely local origin. 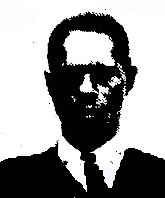 Professor Turini is said to be the originator of this illusion which is as uncanny as one could want. A girl's head poised gracefully amidst half a dozen or so roses at the top of a slender vase that could scarce hold the body of a cat. This lady is able to answer questions and do everything to convince the onlooker that she is no automaton. This illusion admits almost of no explanation as the head and vase is in a box 18 inches square, set upon a table with four long legs and a flat top. Close to this booth is the ever popular Edelweiss Follies. Here the study of facial expressions is most absorbing. People are becoming more and more tolerant, and there is nothing shown that really passes the border line while there is a great deal to give a thrill. A visit to the show without a visit to the follies is a serious omission. Saturday night, for the first time Cupidon, Ableton, Racca and Sandy and other well-known local comedians put on a show, and they were among the popular attractions. We can say nothing of the show as we have not been able to see it as yet. About 1,000 boxing fans saw their popular game put on, lasting for several hours. Each pair did a couple of rounds and incidentally it was discovered that some of the lesser lights are developing bright punches. Then the Gilmore Brothers entertained (at the expense of the organisers) another thousand or so with clever stunts in and out of the trapeze. The Human Dragon and the Death Circle were among the more popular items, and this feature of the Exhibition is one eagerly looked forward to. For the business there is, there might well have been two merry-go-rounds on the grounds. Giddy riders "hold their horses" for several trips while hundreds of others who would like to go the rounds have to patiently watch for an opportunity. Very close to the merry-go-round is a Coney Island. Here you are liable to lose your next day's admission fee trying to capture enticing bottles of champagne, whisky and toilet articles. Nevertheless they are doing a roaring trade, especially in refreshments. Again a welcome display of fireworks was put on, interrupting other attractions; for people, wherever they were, looked up to see bright stars floating through the air and changing their colour finally to disappear in a shower of flame drops. We are told that the fireworks display will continue to the end of the Exhibition, the management having on hand a good supply. Towards the close of the Exhibition on Saturday night, Mr. Beecher, the Founder, thanked the gathering for their support. He said that he was very pleased to see how the World and his Wife had turned out to support the All-Jamaica Industrial Trade Exhibition and Fair, which had come after 14 months of hard labour that could beat any record. The motto of the organisers was: to support local industries, and they must all feel that the local industries had been shown to be of a hundred per cent standard. Mr. Beecher referred to the various exhibits and then announced that work would be started on planning for the Intercolonial Exhibition to be held in Jamaica 1st February, 1934.